Large 4 bedroom holiday home accommodating a maximum of 8 guests located only 100 metres from Werri Beach, tennis courts, surf club and bowling club. Features a balcony with outdoor setting and beautiful ocean views, rumpus room with table tennis and pool table, TV with DVD player, barbecue and washing machine. Includes 1 Queen bed, 1 Double bed and 4 Single beds. Linen is not provided. 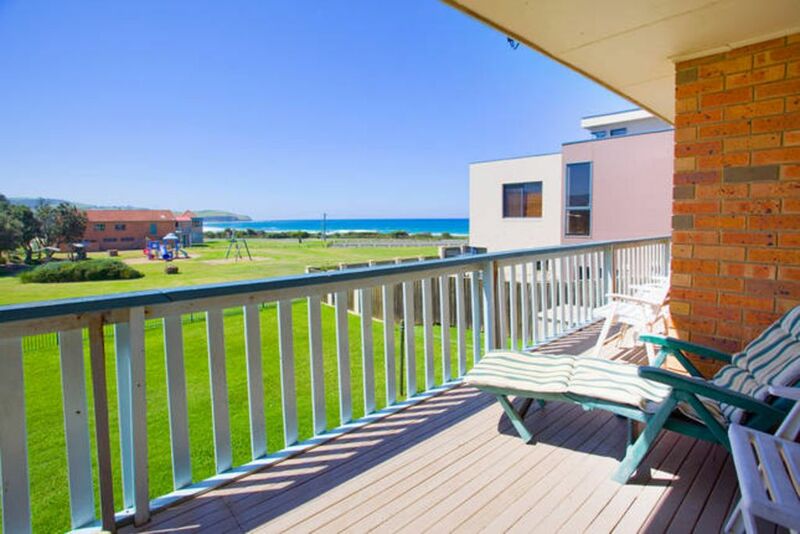 This property is managed by First National Coast & Country Gerringong. Please note the minimum stay is 2 nights over the weekend or 3 nights midweek. No Sunday or Public Holiday arrivals. All bookings during the Christmas School Holidays are in 7 night blocks. No pets allowed. The one star rating for this house is for the location only. The house is rundown, neglected and dirty. It is furnished with what can only be described as other people's rubbish. The windows and doors are difficult to open and all the fly screens either have holes in them or they are hanging off (finding a cockroach in your bed is disgusting). The kitchen is ill equipped with most items being dirty and dangerously outdated. The bathrooms are mouldy and dirty The yard is also overgrown and neglected. Most disturbingly, the lights and electrical outlets kept giving us shocks with one powerpoint dangerously sparking in our children's bedroom whilst they were sleeping. I informed the real estate of these problems and suggest anyone considering this house to check with them that the electricals have been checked and the house has been cleaned to a reasonable standard. I am a little perplexed as to why the first time you raise your concerns, particularly safety issues relating to electricity was on departure and not when first noticed. Should you have contacted us immediately we would have rectified the problem. Please note an electrician attended the property immediately and inspected all electricals. As to ongoing maintenance of the property, we will raise these issues directly with the owner. I feel that should you have given us the opportunity to rectify your said issues raised your stay might have been more enjoyable. To clarify, my review on stayz was not the first time I raised these issues. I provided feedback on the condition of the house after my last two stays and inquired again when I collected the keys. No action was taken either time. In regards to the electrical faults, I raised the issue at next available opportunity. Based on this conversation, I was not confident the issue would be addressed immediately. As I made my booking via stayz and was asked to provide feedback, it was appropriate for me to do so. Loved the area beaches golf and club. Easy acces. Very comfy beds and linen. Kitchen complete minus a sharp knife or sharpener!